The Things We Do For Love: The morning after his bachelor party, Jack (Sean Hayes) realizes he’s lost one of the thirteen gold coins he is to present to Estefan (guest star Brian Jordan Alvarez) at their wedding so that their relationship will not be forever cursed. Although Grace (Debra Messing) denies it, Will (Eric McCormack) becomes concerned that she is the only one compromising in her relationship with Noah (guest star David Schwimmer). 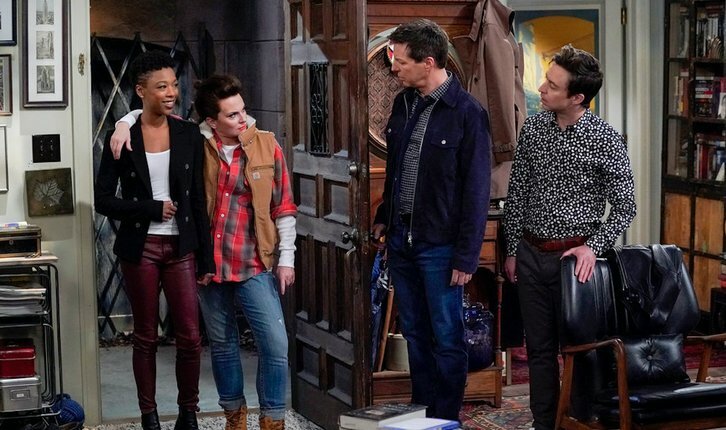 Karen (Megan Mullally) makes it official when she shows up at Grace and Noah’s dinner party with her new date, Nikki (guest star Samira Wiley).